Diagrams: In KASAHARA Kunihiko & MAEKAWA Jun's book, VIVA! Origami. 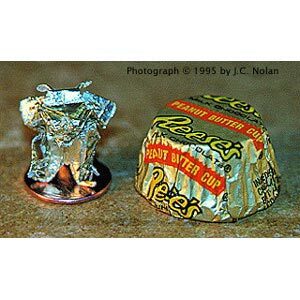 Miniature (about 1 inch tall), folded out of a Reeses Peanut Butter Cup Miniature® wrapper.